Labnet Centrifuges, including mini centrifuges, microcentrifuges, small laboratory centrifuges and universal and high-performance centrifuges, are high-quality and durable units that are suitable for use in any lab. Pipette.com carries the complete line of Labnet Centrifuges and refrigerated centrifuges as well as carrying rotors and accessories for the Prism, Minifuge and Spectrafuge Labnet Centrifuges. Below are some great features of key Labnet Centrifuges. These units are high-speed, high-performance centrifuges for molecular biology and basic research uses. Continuous and short time operation modes. Programming of multi-segment acceleration and deceleration characteristics. 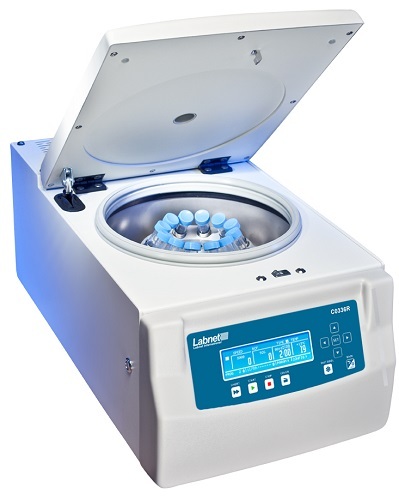 These Labnet Centrifuges have a powerful brushless motors and intuitive control panel that make Prism R Refrigerated Microcentrifuge a premier choice for Labnet customers. These Prism R Refrigerated Microcentrifuge models incorporate a powerful cooling system that maintains temperatures as low as -10°C and can reach 4°C in less than eight minutes. 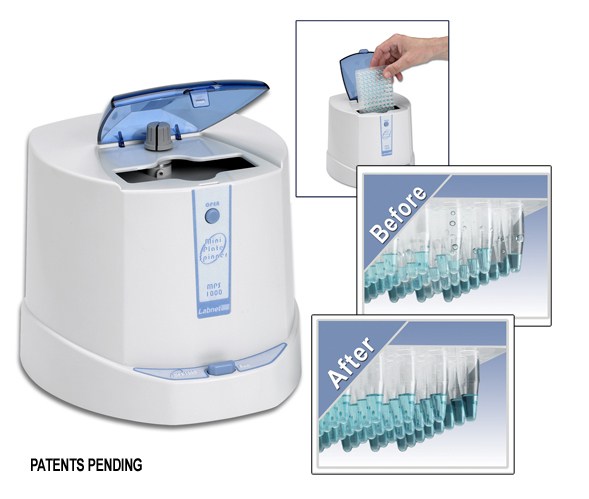 The premier model of Labnet's microcentrifuge product line. Powerful brushless motor and intuitive control panel. Powerful cooling system that maintains temperatures as low as -10°C and can reach 4°C in less than eight minutes. Speed is easily set and displayed in either rpm or rcf. Quick deceleration at the end of a run, while not disrupt samples. Supplied with a uniquely designed 24 x 1.5 / 2.0 mL rotor that allows easy access to the tops of the sample tubes. Adapters are available for smaller tubes as well as PCR strips. The rotor is seated on a tapered shaft which facilitates easy removal for cleaning and autoclaving. These Labnet Centrifuges are an excellent choice for a wide range of molecular biology separations and quick spins. Self opening lid enables single-handed operation. Built in braking system for rapid sample processing. Spin at speeds of up to 6000 rpm. 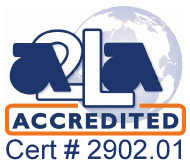 Labnet International, a subsidiary of Corning Life Sciences, offers a full range of lab equipment including centrifuges, pipettes, shakers, rockers, incubators and laboratory plastics. 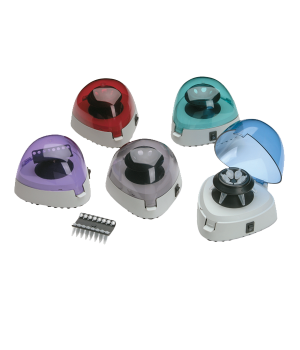 Labnet Mini Microcentrifuges (C1601) are personal benchtop microcentrifuges that are ideal for quick spin downs of your most important samples. 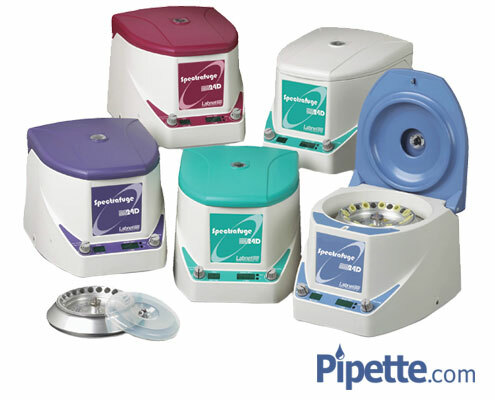 Labnet Mini Microcentrifuges (C1601) will replace the Spectrafuge Mini Centrifuges. The Labnet High Performance Centrifuges C0336 & C0336R from Corning is capable of high-speed operation, expanding its use to applications in molecular biology and basic research. Includes a capacity of up to 400 mL with a swing-out and fixed angle rotor options. 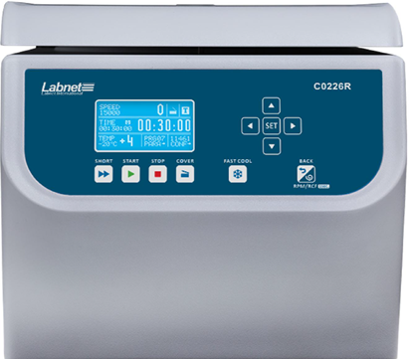 Labnet Prism and Prism R (refrigerated) centrifuges are the leading Labnet microcentrifuges. Capacity of 24 x 1.5/2.0 mL Tubes up to 15,000 rpm. Buy 1 Get 2 CAPP Bravo Single Channel Pipettes for Free. 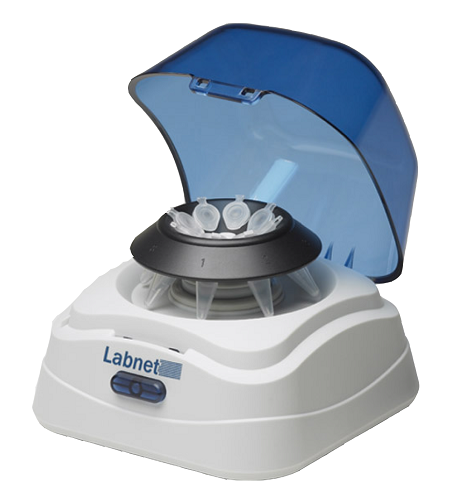 The Labnet Spectrafuge 16M Microcentrifuge is the perfect, high speed, compact microcentrifuge. A brushless, maintenance free motor provides extremely fast acceleration and deceleration of the 18 place rotor and makes the Spectrafuge 16M the quietest microcentrifuge in its class. An economic way to spin 24 x 1.5/2.0 mL Tubes up to 13,300 rpm. Buy 1 Get 2 CAPP Bravo Single Channel Pipettes for Free. The Labnet Spectrafuge 6C has been designed for quick production of PPP (platelet poor plasma) and PRP (platelet rich plasma) as well as other applications in the clinical or research laboratory.